Opening Day 2019! 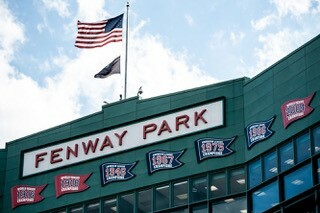 Enter to Win Red Sox Tickets! In a sure sign that Spring is near, the World Champion Red Sox return to Fenway Park today for Opening Day 2019. At Markley, we are naturally fond of the Red Sox, not only as one of our favorite sports teams, but also as one of our many valued clients. We take pride that the Red Sox entrust Markley as the home for their mission-critical IT infrastructure. The Red Sox are a perfect example of what Markley Group does best – help customers solve their unique challenges by implementing solutions tailored to their specific business needs. In celebration of Opening Day and the raising of another World Series Champion banner, sign up for our quarterly newsletter and be entered to win two tickets to a future Red Sox game. To enter, click here (https://www.markleygroup.com/opening-day). Will We See You At SIM Boston Technology Leadership Summit? Celebrate Summer with Markley at the 2018 VTUG Summer Slam!